Spring is blooming and students are celebrating Explore Earth Day this Thursday! During this special day, students will spend a two-hour block exploring our campus with their “buddy-grade,” and we will have a special school-wide picnic where all students will eat together outdoors between noon and 12:45. What fun! As you have seen in eNews over the past month, we are working to make the picnic a “Zero Waste” experience and to make that happen, we need your help by packing a Zero Waste Lunch. The District Food Services is making a special Zero-Waste Lunch that will also be available if your child normally buys lunch. Lunch: What is “Waste Free”? “Waste Free” prioritizes reduction of waste through the use of reusable materials. We can recycle if we have to but please make every effort to avoid things like single-use plastic baggies! Waste Free Lunch: How to pack it? We encourage students to: Own the future, Bring Your Own Lunch! In the next several weeks, we will begin our process to develop class lists for the 2019-2020 school year. Current grade level teachers will meet with administrators, special education teachers, TAG teachers, our counselor, fine arts teachers, and PE teachers to discuss preliminary class lists for the upcoming school year. We take many factors into consideration including gender, academic needs, social and behavioral needs, and parent input in order to create balanced classes of students whose strengths and abilities will complement each other. If your child has significant medical, emotional, social, behavioral, or academic needs that may require special attention when creating a class list, or assignment to a teacher, please click here to complete our online class input form by Friday, May 3, 2019. The information you provide will assist us as we build classes for next year. *Note: this form is intended for LME students entering 1st – 5th grade next year. Please note, due to the difficulties associated with requests for specific teachers, forms requesting a specific teacher will not be considered. Incoming kindergartner and outgoing 5th grade parents do not need to complete this form. Incoming kindergartners have already completed a similar form as part of your kinder registration. From now until July 1, 2019 you can order your child’s school supplies for the 2019-2020 school year. 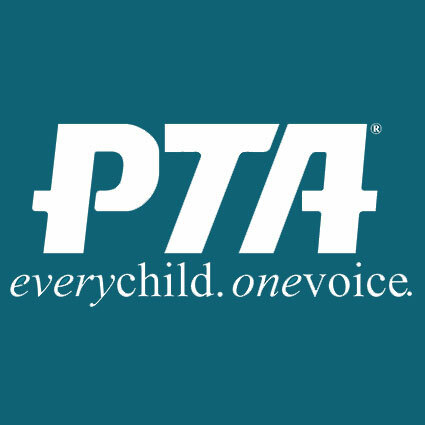 This is a service offered by the PTA. Only online orders are accepted (no paper orders). Click here for informational flyer. If you are a parent of a student at Laurel Mountain and you are NOT receiving our school enews, submit your email so we can add it to our list. Ordering supplies for 2019-2020? Click here to visit the online store until July 1. Enter code LAU001. On December 8th at the General PTA meeting, it was approved that the LME PTA would participate in AmazonSmile, which is Amazon’s charitable organization that will automatically donate 0.5% of the price of your eligible AmazonSmile purchases to our PTA. AmazonSmile is the same Amazon you know – same products, same prices, same service. It costs you nothing, and it’s just like shopping on Amazon normally, but you get to do a world of good while shopping. Go to AmazonSmile and select your charitable organization as “ PTA Texas Congress 7871 Laurel Mountain Elementary” based in Austin, TX then start shopping! Fill out the Pick-up Authorization form. Only parents, guardians, and people listed on this form will be permitted to pick up your child. The Aligned Round Rock Curriculum (ARRC) outlines the learning goals and objectives Round Rock ISD students are expected to achieve. The entire ARRC can be found on the Round Rock ISD Curriculum website. Click here for videos from Mr. Hance to learn more about E2 and SEM. School Hours: 7:40 a.m. to 2:55 p.m. Office Hours: 7:30 a.m. to 4:00 p.m.